A study led by the Fred Hutchinson Cancer Research Center find that high dose supplementation of selenium and vitamin E increases the risk of prostate cancer. The study which started in 2001 involved 35,000 men find that 17 percent of men who took vitamin E had an increased risk of prostate cancer. Men with high baseline selenium levels increased cancer risk by 91% by taking selenium supplements. For those with low selenium levels, taking vitamin E supplements increased their prostate cancer risk 63 percent and an increased risk for high-grade cancer by 111 percent. Selenium is naturally present in many foods and is also available as a dietary supplement. It is used by the body in reproduction, thyroid hormone metabolism, DNA synthesis, and protection from oxidative damage and infection. Seafoods and organ meats are good sources of selenium as well as muscle meats, cereals and other grains, and dairy products. 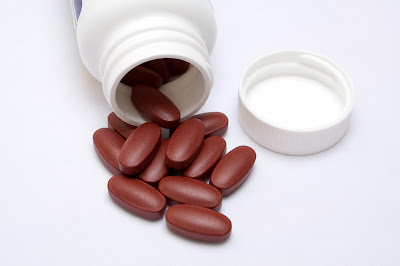 The study advises that men 55 years old and older should should avoid Vitamin E and Selenium supplementation above the recommended daily dietary intakes; 55 mcg for selenium and 15 mg for vitamin E.
Prostate cancer is the most common cancer in men. Each year, there are about 300,000 men diagnosed with prostate cancer in the U.S.
A multi-center study led by Fred Hutchinson Cancer Research Center has found that high-dose supplementation with both the trace element selenium and vitamin E increase the risk of high-grade prostate cancer. But importantly, this risk depends upon a man's selenium status before taking the supplements.